Check me out! 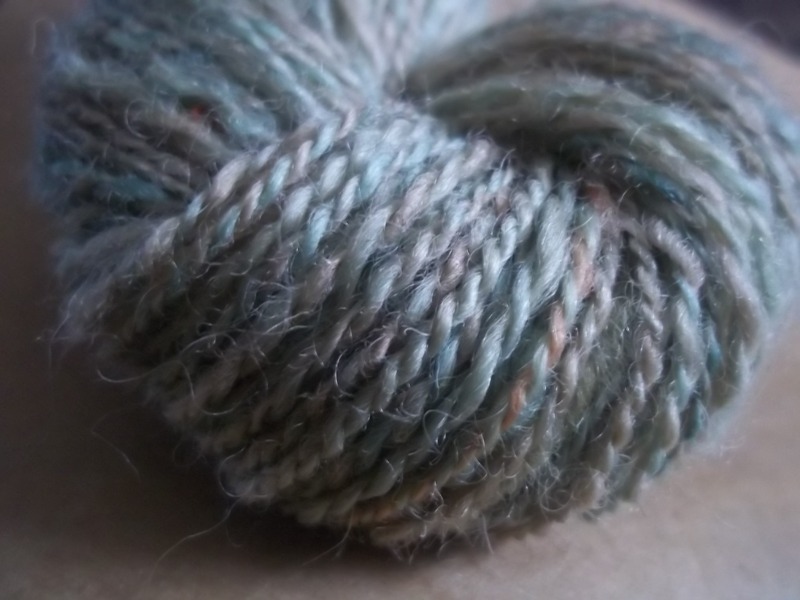 It’s made from the Blueface Leicester x Swaledale cross I got from Woolfest. 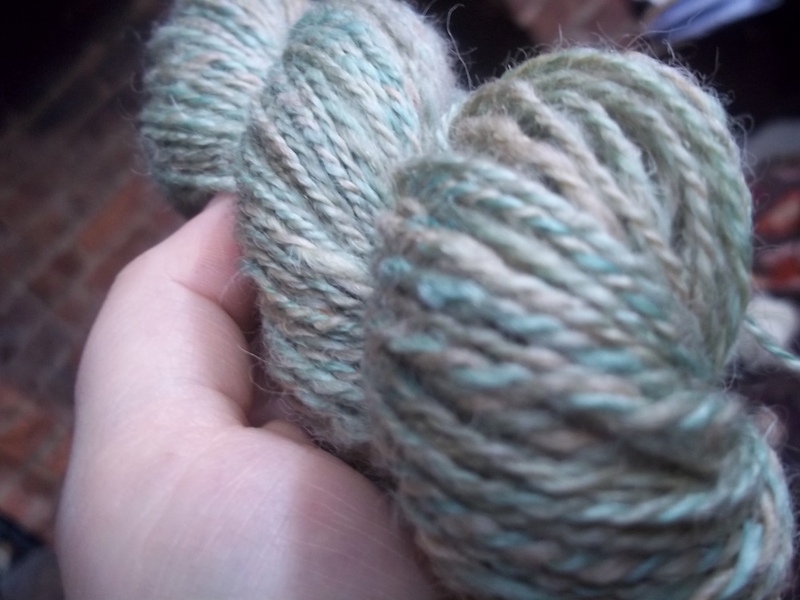 I’ve been messing with dyes and once I worked out how to get the roving off the drumcarder using a diz made from a plastic tub top, I was able to dye the roving in strips. I was quite pleased with how the colours turned out – mint, apricot, tan and gold – until I made some more this morning using completely different colours but have ended up with the same minty green and apricot, so suspect I’m doing something very wrong! 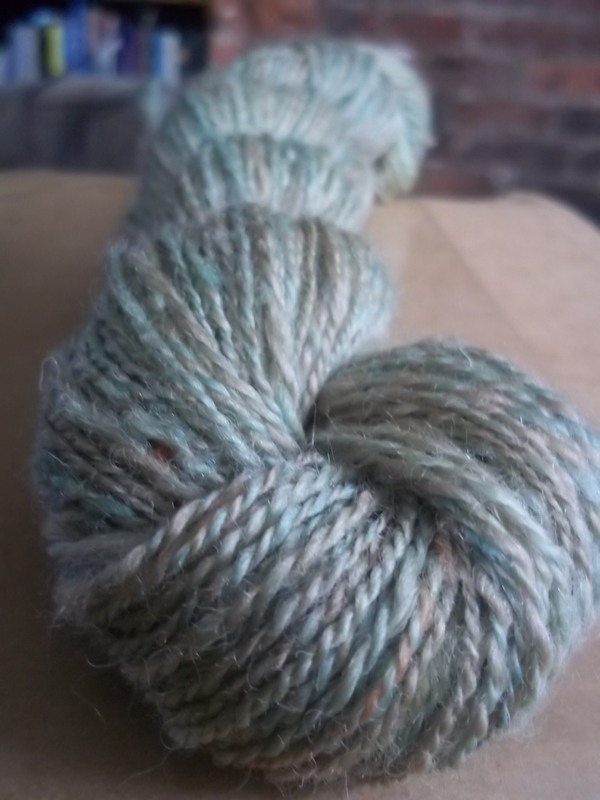 It’s spun worsted and works out at 19 wraps per inch, and is 2-ply. I don’t know whether to crochet it, knit it or weave it, or perhaps just stash it and occasionally take it out and gorp and fondle!